This innovative project aims to bring together twelve 18-23 year olds would- be story tellers drawn from adherents of four major faiths and cultures: Christians, Jews, Muslims and Hindus; and from those who have no faith background. They would be trained and accredited as story tellers and would be required both to create and research stories that demonstrate compassion from their faith community and secular perspectives. A collation of these stories including some tips on reading and storytelling will be published in book form illustrated with children's work. 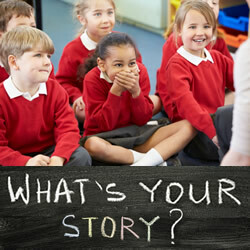 The trained story tellers will be expected to become advocates of the compassionate story telling approach as well as disseminators of the stories in a range of contexts. A significant rise in the profile of storytelling and building a more compassionate society in the hearts and minds of young people who, hopefully, will be inspired by the many stories they experience.